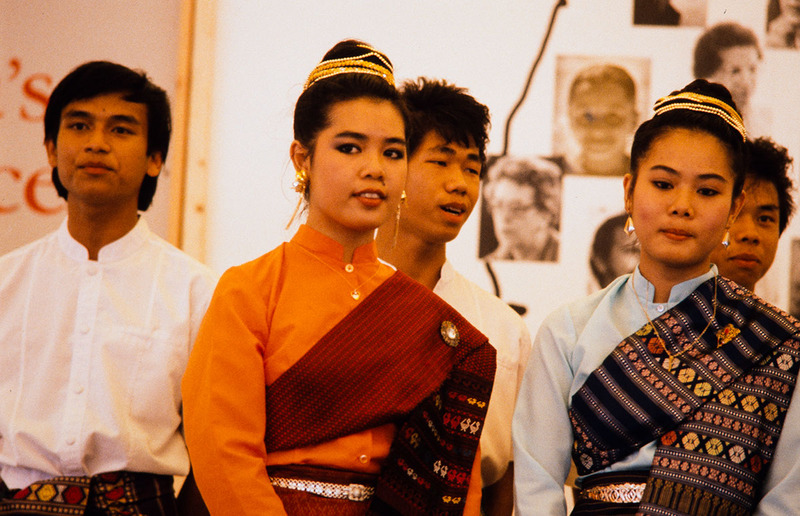 1987 Festival of American Folklife, Cultural Conservation and Languages: America's Many Voices program (FAF1987_01043). 1987 Festival of American Folklife, Cultural Conservation and Languages: America's Many Voices program (FAF1987_0185). 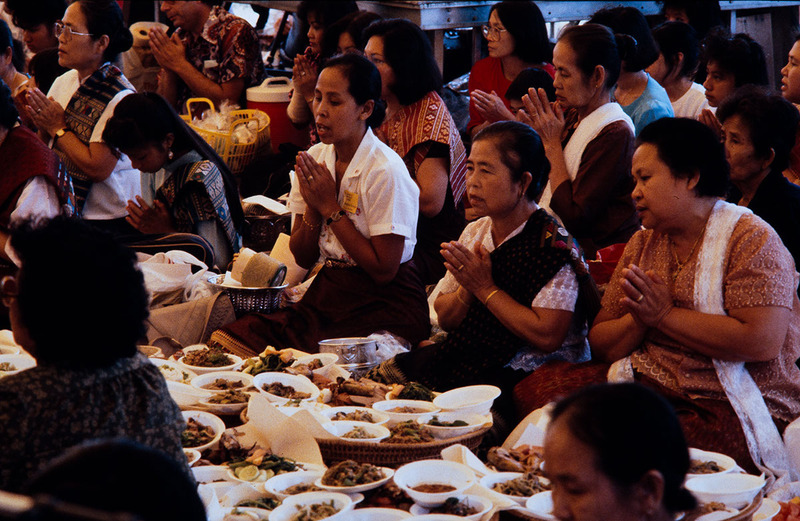 1987 Festival of American Folklife, Cultural Conservation and Languages: America's Many Voices program (FAF1987_0301). Photo by Frank Proschan. Courtesy of the Ralph Rinzler Folklife Archives and Collections, Smithsonian Institution. 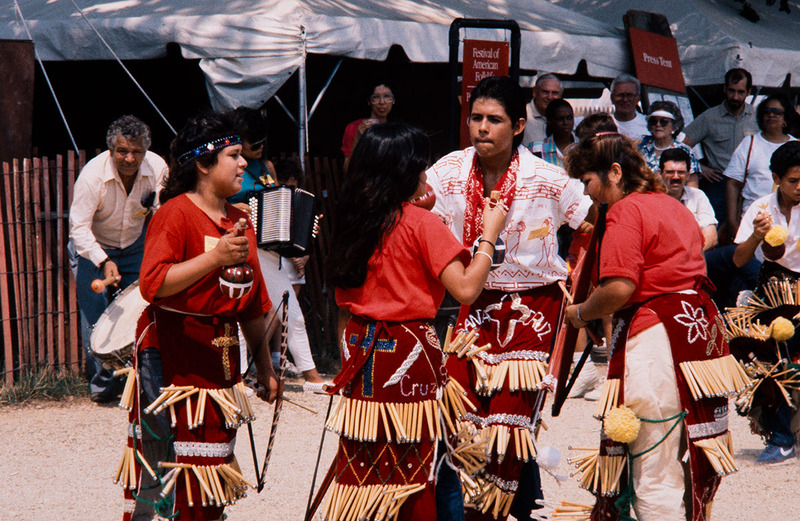 1987 Festival of American Folklife, Cultural Conservation and Languages: America's Many Voices program (FAF1987_0343). 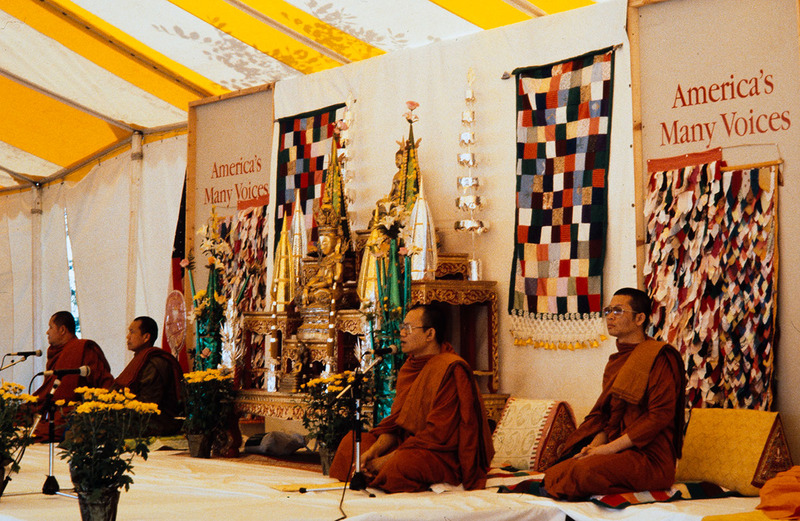 1987 Festival of American Folklife, Cultural Conservation and Languages: America's Many Voices program (FAF1987_0403). 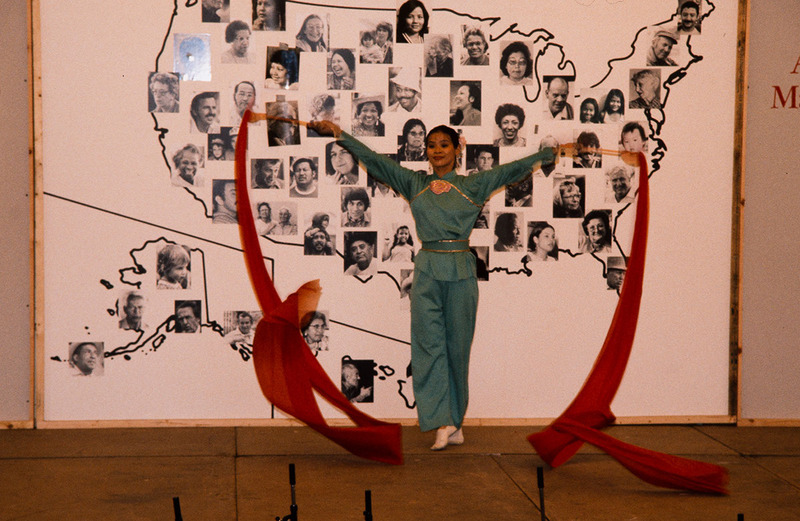 1987 Festival of American Folklife, Cultural Conservation and Languages: America's Many Voices program (FAF1987_0736). America's Many Voices - the third in a series of Cultural Conservation programs that began in 1985 - addressed the importance of language in the preservation of cultural traditions. Spanish speakers from Texas, Chinese speakers from New York, Lao speakers from Virginia and Maryland, and English speakers from North Carolina challenged Festival audiences to hear the beauty of their voices, to understand the social significance of their languages, and to grasp meanings sometimes not easily translated. The theme was chosen to coincide with the Bicentennial of the U.S. Constitution, and looked back in part to the wisdom of the early patriots for guidance concerning present-day social problems and issues. In 1987, as in 1787, America's linguistic diversity and cultural variety were seen by some as threats to national unity and by others as a primary resource for national strength; the Festival advocated the latter approach. Frank Proschan was Curator of the Cultural Conservation program and Todd DeGarmo was Program Coordinator.